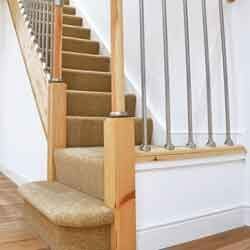 A range of different flooring solutions. Discover the floor you've been looking for. 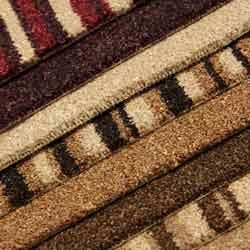 Simply Floors offers a large selection of carpets, laminates, wood flooring, vinyl and luxury vinyl tiles. Discover your ideal floor. Established in 1986, Simply Floors is a family run business that prides itself on unmatched quality, speed and professionalism. 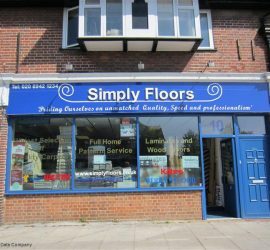 Get directions and opening hours for the Simply Floors shop, where you can see samples of various flooring products and discuss your particular needs. For over 30 years, Simply Floors has been supplying and fitting a range of quality flooring to homes across London, Surrey and the South East. A trusted retailer of carpets, engineered wood flooring, laminate flooring, vinyl flooring and luxury vinyl tiles, our shop can provide an ideal floor to complement the look, feel and function of any space. If you would like some guidance on choosing the best carpet, wood floor, laminate or vinyl solution for you, our team will be happy to help. Simply Floors is pleased to offer a large range of colours, patterns, styles and materials, many of which are available to see in our showroom. We have carefully selected each of our suppliers to ensure all our products meet the best available standards, and our team of experienced fitters will provide you with a professional and efficient service. Simply Floors is a family run business, and proud to deliver the highest levels of service, quality and finish; all at competitive prices. For further information, please call 020 8942 1234 or request a quote.